My learning journey got on steroids at the end of May. I met 22 learning architects in a three day Symposium at Universidad del Medio Ambiente. The next day after the Symposium, 11 of us started a 8 day road trip of 1300 km to visit three disruptive universities in the South of Mexico. First stop was Universidad Campesina Indígena en Red. “We are a university that has no hierarchy, no rectors, no directors. Relationships are not built on people that have knowledge and those that have not. We don’t pay the teachers and we don’t charge the students, it is a collaborative experience.” – said Benjamin Berlanga, as we started our first meeting with the team. 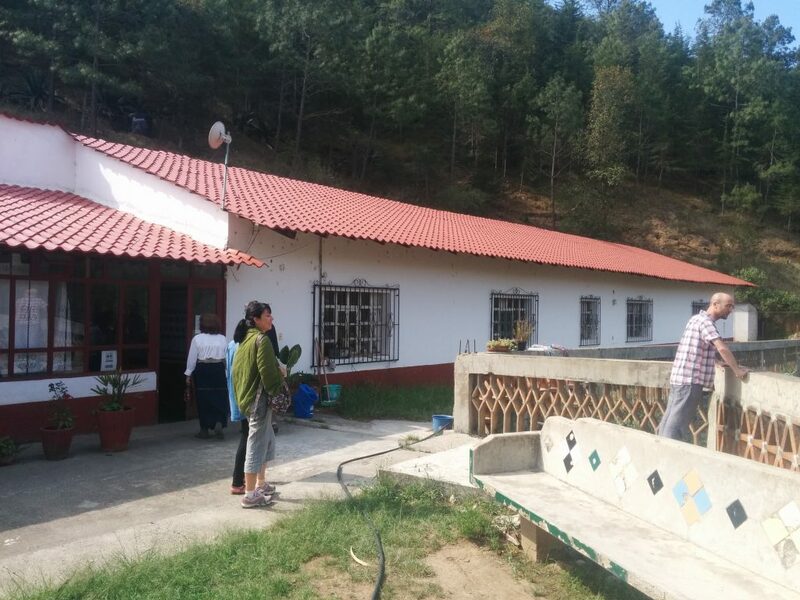 The team had been doing this work since 1982, when a rural development center (CESDER) was founded. Aside from UCI RED they have built 15 secondary schools and helped design many rural educational projects. In the meantime, many former students joined as team members. The meeting revealed a deep pedagogical philosophy: After 30 years we realised that the disruptive is not in the learning or teaching but it is in the relationship. The fundamental question for UCI RED pedagogy is “How is life going for us?” (“Como nos va en la vida?”). It is not an innocent question. It brings along what they call an epistemic displacement: “Before asking what is life, we ask how is life right now, for us. We are included” They also say that “education is the gift of time, because we are time. Education is opening spaces of conversation. Conversation is to give the ear first and then to give your word.” Because of this approach, 35% of the students give up in the first months saying “to have a conversation I can go home, here I come so others tell me how it is”. The ones that stay say: “This is a place where we can express ourselves” and “I have learned how to rename the old labels and to resignify living life”. We visited the shop, their agroecology lab and seedbank, a water collection project, a greenhouse and the pottery center. 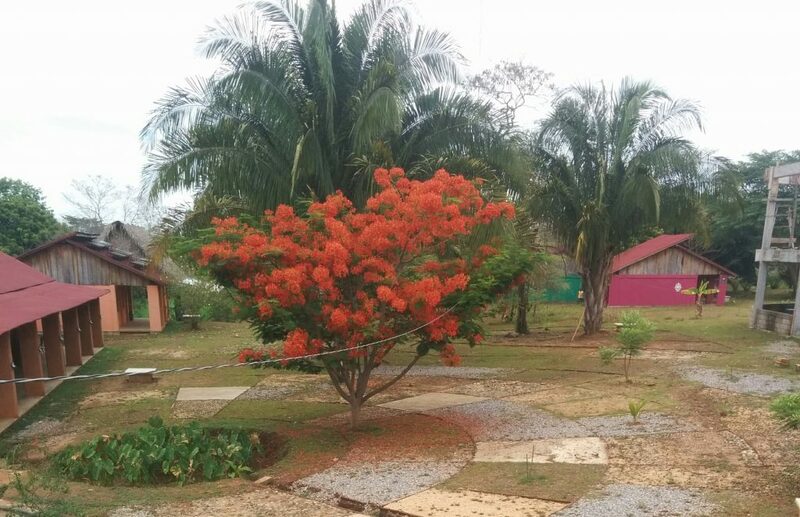 UCI is very much involved in local development, that is no longer understood as the neoliberal foundations advertise it (focused on having running water for example) but more like living in harmony with nature, family and community. As a former student put it “UCI taught us how to be revolutionaries in our own day to day life“. A special moment on the road from Puebla to Oaxaca. 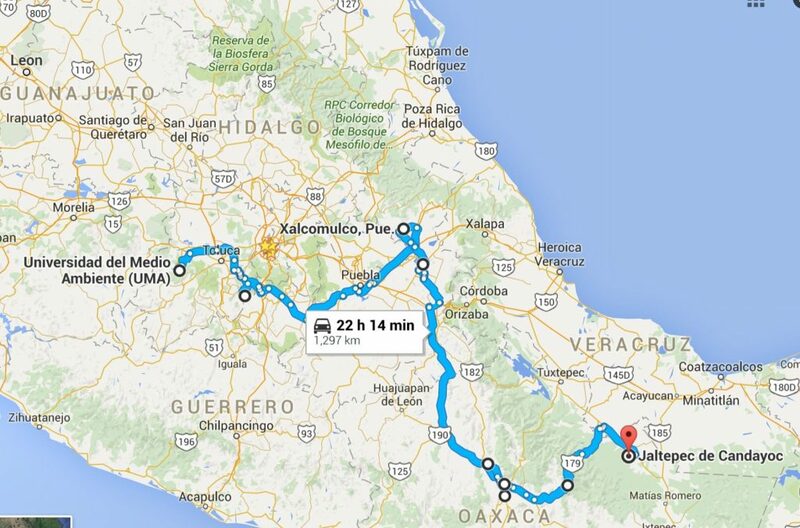 After 350 km and a car radio show, we reached Oaxaca City. It is a rebellious place where ten years ago the city was occupied for seven months by Popular Assembly of the People of Oaxaca. After ten years, when we got there, the city central square was again occupied by a few thousands teachers protesting against so called “education reform”. It was expected that after the 5th of June elections, the government repression will start. Sadly, just two weeks after we left, at least nine people were killed by police in confrontations. In this troubled environment, UniTierra is a university like no other. 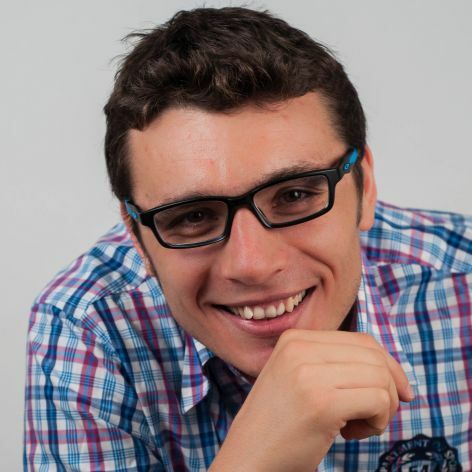 It was founded by Gustavo Esteva, around one core principle: learning by doing. Gustavo was a good friend and collaborator of the “maverick social critic” of western institutions, Ivan Illich. He told us: “We don’t have education, we are escaping education. Accepting education equals accepting the authority of an educator. The main product of education are dropouts; it is disqualifying 60% of the people. Only 8% in Mexican universities will be able to work in their field.” They also note the destructive effect education has on indigenous culture: “You can survive as an indigenous up until university but it is almost impossible to survive after going to university. Your indigenous soul is gone.” UniTierra also rejects the idea of diplomas together with the corresponding ideas of professions and experts hidden behind them, claiming exclusive rights to manage learning, or health or justice for everybody else. 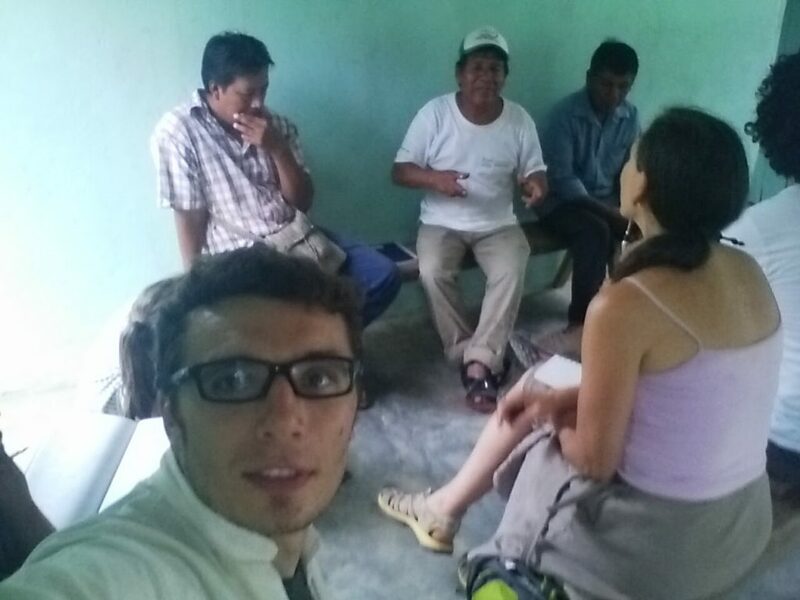 An important step for Unitierra was to go to communities. 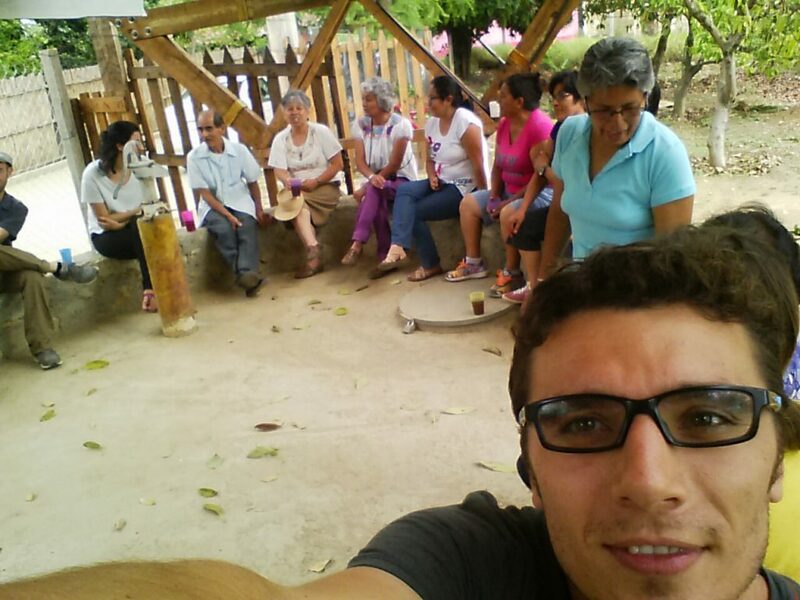 We visited two villages where a UniTierra was developed by local people. What one could see was some a living museum of eco techniques but what the conversation revealed was a process of community learning. In San Bartolo Coyotepec, an entire community learned to stop burning trash, collect it separately in 16 types and sell it. The learning process was a mix of rules, citizen reporting, public displays, training for adults and children and empowering children to take responsibility. Re-learning Hope: A Story of Unitierra from Multi-Sense Media on Vimeo. 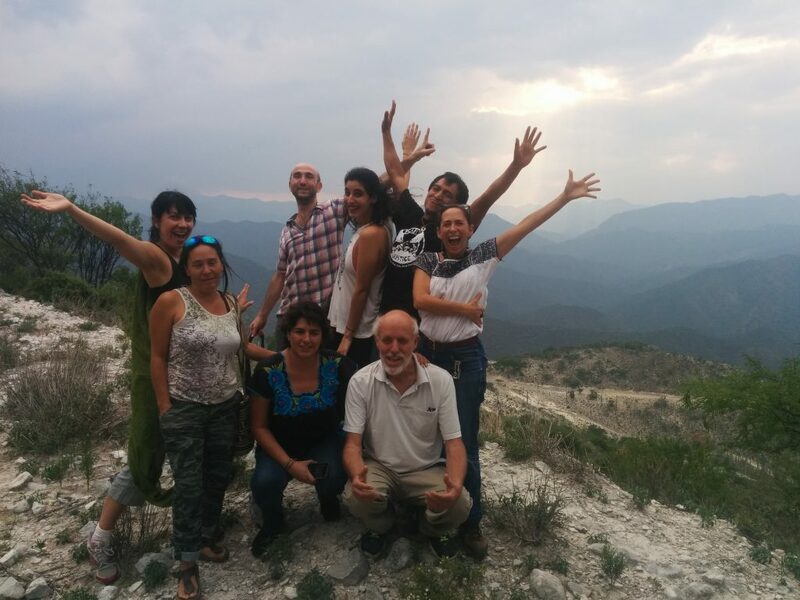 We left Oaxaca City to go further into the Oaxaca state, in the mountains of Mixe region. 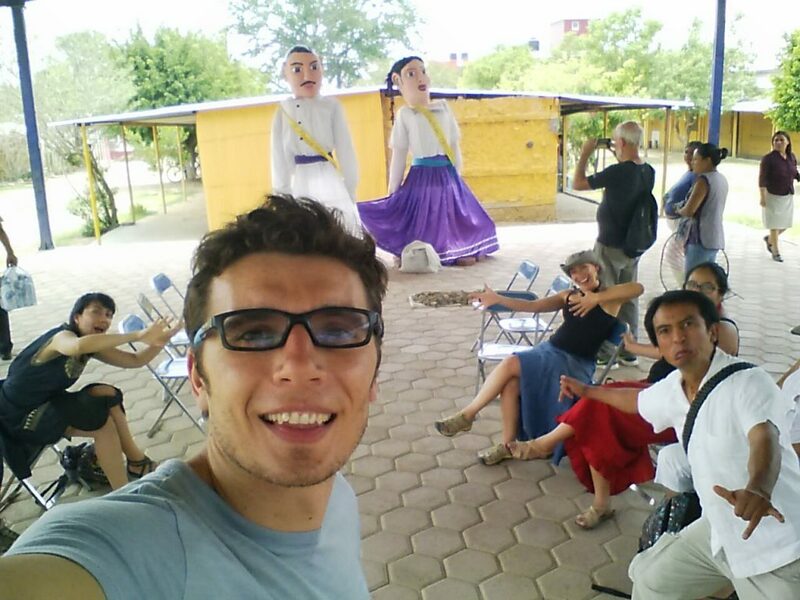 Getting to Instituto Superior Intercultural Ayuuk (ISIA) was not that easy. We had to stop for the night somewhere in a village. At ISIA we got to see the place from three different perspectives: the team, the students and the leaders of the community. This was the occasion for me to witness the uphill battle that young people in the indigenous communities are fighting. It is a struggle for their identity and for their dreams. Trapped between the glossy advertised and hard to reach city life that is alienating for their deep rooted worldview of life in community and a life in their communities that is labeled backward and poor and is seen as futureless. The university is there to re-value the indigenous language and worldview, helping students in their fight for dignity, self respect and a good life. One evening I shared the table with a student that wanted to go back to his community and create radio station and another student that had plans to develop an educational project in her village. Hearing other students clearly articulating their situation, their options and their reflections in the assembly, I had the uplifting feeling that this small rural university is succeeding in one of the most difficult learning challenges a higher education institution can have. Meeting Don Antonio and other leaders of the community hosting ISIA, we had an insight in how they see the university, after ten years. For example, they value students participation in community events or the partnership they have for writing the recent history of the community. They also expressed that the project still has to fulfill the initial expectation that graduates will energize the rebirth of their communities. We left ISIA on 7th of June, for the last segment of the road spent together. A big part of the journey was on the road, telling stories, getting deep into some aspects of our projects, making plans and having fun. My fellow travelers were neverending fountains of inspiration and learning. 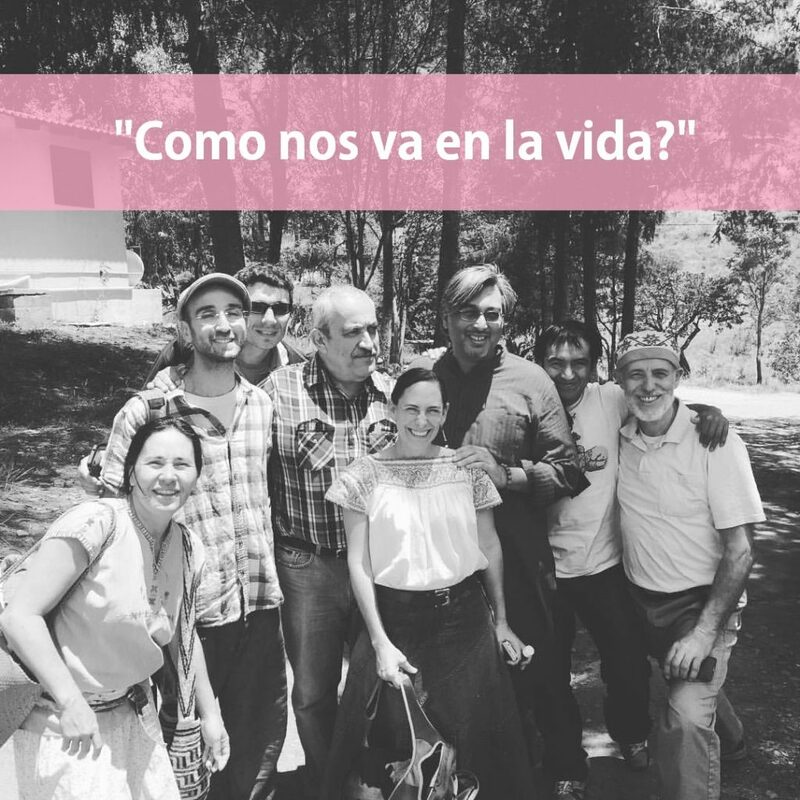 The intellectual idea of comunalidad or the friendship that Ivan Illich and Gustavo Esteva are talking about took a powerful real life incarnation in the friendship we shared in this journey. One month later, I realise how much this journey enriched me. I have a collection of important words and one of questions. Both are now richer. The words profession, expert, development and education drifted further towards a negative meaning. Comunalidad and fertility of relationship gained a place on the list. I internalized the question “How is life going for us?”. It seems such a fertile starting point and the spanish version – Como nos va en la vida? – has something poetic. I’ll keep with me two other questions: “What resonates in you?” and “What do you take in your heart?. Speaking about what do I take in my heart, I take the idea that powerful learning can mean “to rename the old labels and resignify living life” and “make revolution in our day to day life”. The journey opened my mind to new learning possibilities. First, I experimented the power of a collective learning journey. We had enough space to get past the first conversations, to let the comfortable silence set in end then for the beautiful random topics to emerge. Some of them were not random. Now I realise that my curiosity around vision quests and ceremonies was generously attended to in long conversations with Silvia, Genaro and Victoria. A door is now opened to an entire new world. My idea of the learning environments I would like to design also enlarged. 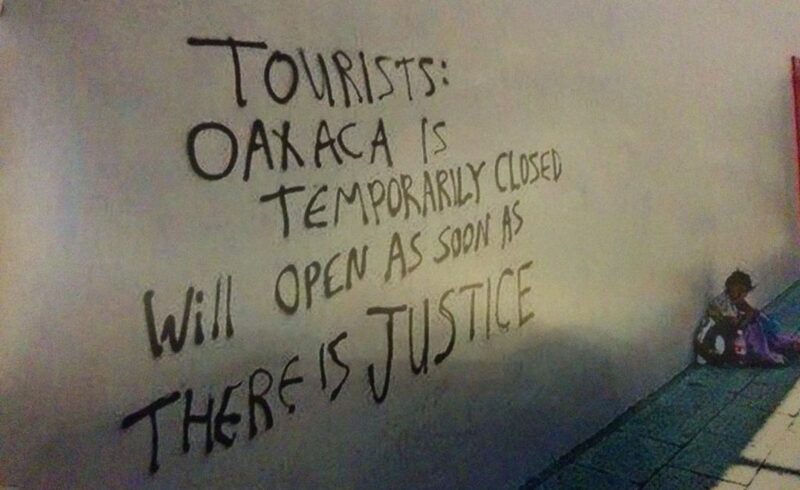 The involvement of Unitierra in the political struggle in Oaxaca sparked the insight that people building revolutions (in the street) are generating a collective learning process. A learning environment would ideally engage with that real time collective learning, maybe even generate it. The idea of light (un)structures generating rich learning environments was another insight. Unitierra, with its light structure seems to have spread out organically around Oaxaca City, in the neighbouring state of Chipas but also to a chocolate factory in Canada. At UCI Red nobody gets paid and students are not charged. So now I hold this question: what is the minimal structure that can generate a rich and adaptive learning environment?. Finally, I had a strong confirmation for an intuition I have: the base for my work as a learning architect will be in a village. I’d like to nurture knowledge systems that have synthesis as core. I believe that the knowledge system of the monoculture makes us “specialists of nothing and fools of everything else”. This fragmented view of the world keeps us dependent on the unfriendly machine that we’ve built for ourselves. I have an incredible enthusiasm for a different system that nourishes the autonomy of people and their communities and I think that the village environment is better suited as a base for this. This entry was posted in Miscellaneous, Travel Log on July 8, 2016 by Traian Bruma.